This summer I spent three weeks living on a boat in the British Virgin Islands. 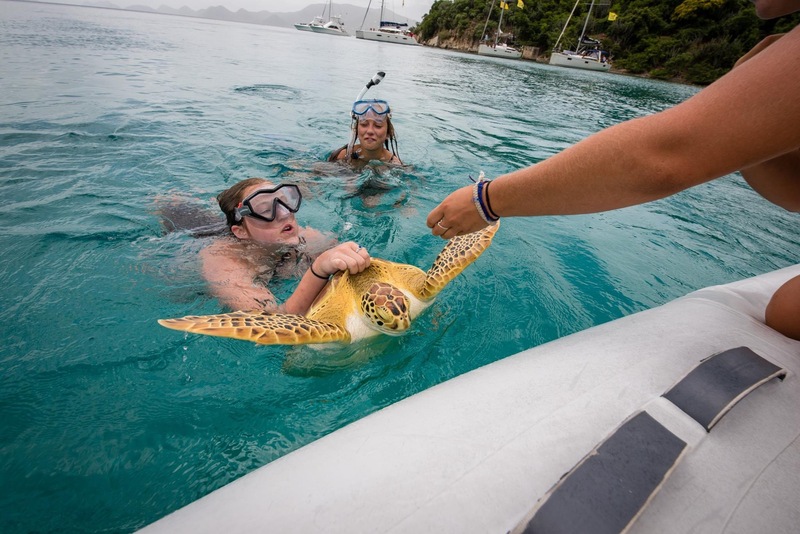 While I was there, I learned about sea turtles and how nearly all species of sea turtle are classified as endangered because they are slaughtered for their eggs, meat, ski, and shells, and suffer from poaching and over-exploitation. They also face habitat destruction and accidental capture in fishing gear. Almost every day while I was in the Caribbean, I, along with experts, would jump off the boat and snorkel until I saw a turtle down below. I then would free dive down to the turtle and attempt to grab it by its shell and onto a dingy waiting above. We then would bring it onto the main boat and tag it, take measurements, and then release it back into the sea. Tagging these turtles is important to monitor the changes that the species as a whole will experience. One of the turtles we caught had been previously tagged and we were able to see that it had traveled all the way from Haiti. This entry was posted in Uncategorized by 19lerner. Bookmark the permalink.